Greece’s motorway network is now completed (except for E65 which will be released shortly) having transformed the transportation map of the country. Among the projects that have been implemented over the last decades, road tunnels stand out for their technical complexity and difficulty and the fact that have been designed and carried out by Greek companies thus adding new achievements and valuable know-how to the domestic constructions market. The length of all 10 tunnels combined is 31 km. If we connected them, one after the other, they would be longer than Athens Metro Line 1, which has a length of 24 km or they would be equal to the entirety Thessaloniki’s Ring Road length (31.4 km) or slightly less than half of Attiki Motorway (70 km). Tempi Tunnel (T2) has been opened since 2011 but it, unfortunately, coincided with Greece’s financial crisis, delaying its completion considerably. In fact, it took six more years to finally operate (April 2017). Let's not forget though that its operation abolished the obsolete and dangerous part of the old network at Tempi Valley, that has counted multiple fatalities over the years. Driskos Tunnel in Egnatia Motorway, was topping the list for years, not only for its long length but also for its technical features, as it passes through Pindos mount range. Panagopoula twin tunnels are 4km long to Athens and 3.16 km long to Patras, as opposed to the other nine tunnels of the motorway that have almost the same length in both directions. The 3-km-long Klokova Tunnel claims a place in the Guinness records as it was drilled in just 13 months. This is a Greek record, unprecedented for a road tunnel project in the country and was a very important step for the completion of Ionian Motorway. Our list, as an exception, is featuring the future Domokos Tunnel. It is located in Lamia-Xyniada section of E65 Motorway and to date, 1,000 meters have been opened (500 metres on each side during the period 2008-2011). When finished, it will constitute the most important technical project of E65 as it will eliminate the dangerous turns after the town of Lamia and, in that sense, deserves an early “reservation” at Ypodomes.com top-10 list. Multiple rail projects have been implemented in the country over the last 25 years leaving an, admittedly, valuable footprint behind them. Greece now features a remarkable railway network which, with the completion of the Athens-Thessaloniki corridor in 2018, will be finally appreciated by the passengers. Tunnels in these projects have played a critical role in shaping a modern, operating network. Most of us have connected the word "tunnel", firstly with the Metro and secondly with the motorways. However, a considerable part of ERGOSE's technical works consists of tunnels in areas with challenging geological conditions. ERGOSE's underground works are approximately 60 with a total length of 77 km of tunnels and an additional 7 km of emergency tunnels. For the most part, these tunnels are constructed with underground opening while just a small percentage with cut&cover method. Railway tunnels in Greece are both single (double-directional) and twin tunnels depending on their length. Tunnels are also equipped with special ventilation systems controlled by high-end telematics systems. Exclusively today, Ypodomes.com presents the country's 10 longest railway tunnels, starting from 2.2 km (Platanos Tunnel) up to an impressive 9.2 km (Kallidromo Tunnel). At the top five, there impressive figures; in fact the country's longest 32 tunnels are among the longest in the Balkans as well, and a place among the world's major railway tunnels. To date, tunnels with a total length of approximately 29 km have been completed and released to operation, tunnels with a total length of 43 km have been constructed and will be delivered shortly while another 5.5 km of new tunnels are currently in the construction phase. The tunnels are mainly constructed in mountainous routes, in cases with space shortage and intersections with the motorway network and wherever the line passes through inhabited areas with no possibility of detour with a surface design. The average width of the tunnels is approximately 12.4 m., depending on the design, speed and the requirements of the electricity supply. All tunnels are constructed with reinforced concrete, the thickness of which depends on the ground’s composition. A drainage and waterproofing layer is placed outside the final cladding to ensure dry conditions inside the tunnel. The tunnels are fully sealed for the existence of aquifers so as to avoid the environmental impact of their disruption while their design is fully adjusted to their surroundings. Among the 10 longest tunnels, 4 are operation, 5 have been completed and one is still under construction. 6 currently in construction are expected to be released in 2017 changing the rail journey experience. Out of the 10 longest tunnels, 4 are located on the Kiato-Psathopyrgos corridor, 2 in Attica, 1 in Thessaly, 1 in Central Macedonia and 2 in Central Greece. If we combine all 10 tunnels together, we will see that their length reaches 41.9 km. This means that the mere length of those tunnels is longer than Athens Metro Lines 2 and 3. They could actually cover the distance between Athens and Avlona. 8 out of the 10 longest tunnels are single, double track, while the Kallidromo and Othris tunnels are twin tunnels with a separate branch per direction. V Řecku jsou i tzv. faraonské projekty, tedy projekty z kategorie velkých, které se slibují dávno před vypuknutím dopadů dluhové krize v zemi a které jsou tak stále jen v rovině snů a když se připravují, tak jen částečné etapy v rámci nich. Vládní server pro infrastrukturu uvádí 10 z nich. The extension project of Attica Motorway is a long-standing expectation by the residents of Attica region, 16 years now. Due to the financial crisis, scenarios for its implementation were withdrawn only to re-emerge now as 2 separate projects (extension to Lavrio and Vouliagmeni Urban Tunnel). A project from the Olympic era that 13 years later is still stuck in bureaucracy. Way too many announcements, many desings and when and when the time for decisions arrives, it remains a model. Perhaps the most fatigued transport project in the country. In 2010 PPC Renewables, announced an ambitious prospect for the largest photovoltaic park in the world (at the time), with a capacity of 300 MW, costing 600mn euros (even 800mn euros according to some sources). The park would be constructed in a huge area near the former lignite mines of Kozani. A vibrant example of poor management regarding public works. The road link was tendered in 2001 along with the rest of the motorway projects and was even contracted, as early as, the mid 2000s. The contract finally collapsed, a fact that promted the State to compensate the contractor with 68mn euros (the compensations' interest now exceeds 100mn euros). A football pitch that has changed multiple positions over the years. From Votanikos area to Helliniko and then to Goudi. 12 years now the project doesn't seem to settle in a robust place in order to house the dreams of the "Green" fans. During the 1990s, when there were many possibilities for Greece, the idea of Maliakos Underwater Road Link came along and began to mature. We are talking about an outrageously large-scale project based on a dead right idea: an underwater tunnel that would link the two ends of Maliakos Gulf, thus shortening the distance between Athens and Thessaloniki by 60 km or 40 minutes of driving time. During the same decade there was a new plan for the development of a new railway line starting from Igoumenitsa and Ioannina to Antirrio. Indeed, the EU also approved it but the project encountered two important obstacles. The first one was its funding and the second (and most important was) Rio-Antirio Bridge, whose construction did not provide for the development of a railway line across its length. An impressive, private investment of 300mn euros that would bring 2,000 new jobs and upgrade a particularly problematic area, next to the largest avenue that runs across the capital. A reasonable reaction to this idea would be the facilitation of such investment and its rapid materialization. But not necessarily in Greece. Since 2007, the Mall of Academy Gardens has been waiting patiently for its transition from the mock-up it currently is to a real-life project. In the end of the previous decade, the plans for major road projects had become quite popular. One of these was the unleveling of the Eastern side of Thessaloniki's Ring Road. The plans included a whole new motorway with bridges, tunnels; in a few words, a very fancy and expensive construction plan that never saw its implementation. The plan of the electrical interconnection of Crete with the continental grid of the country has been designed 20 years back. Interconnections from Attica and from the Peloponnese costing over a billion euros in total. Even though tenders are expected in 2018, the particular interconnections are still waiting to be implemented meaning that Crete's energy costs remain very high, burdening all PPC customers, due to the use of petrol for electricity production. This project could be the most urgent one to become a reality as the annual cost for Crete's electricity is estimated at a staggering 400mn euros. The most visionary project that will last (if it makes it to implementation) over a period of more than 15-20 years is undoubtedly Railway Egnatia. This project is really promising and has both strong supporters and adversaries. Its supporters believe that the operation of the Railway Egnatia will provide a comparative advantage for the transports in Northern Greece and will become a through passage for goods from Turkey, the Middle East and the Balkans to the markets of Western Europe. It will even strengthen the country's railway network and create new growth opportunities. Its adversaries talk about a pharaonic project that is not commercial and will not "pay off" its money while operating competitively towards Egnatia Motorway, "stealing" a substantial portion of its traffic. Today we are going to take a first approach about this promising infrastructure. It is noted the project concerns a single track, electrified line with modern features, equipped with state-of-the-art signaling and telecommunication systems. The so-called "Eastern Railway Egnatia" consists of Ormenio-Alexandroupoli-Xanthi-Kavala-Thessaloniki corridor. The projects here will call for a transnational company (Greece-Bulgaria), which, as the implementing entity, will undertake the modernization of the line in both countries to the standards currently being implemented by Rail Baltica. The launch of the project is still distant, but the good news is that there is an active plan with the blessings of the European Union that sees it positively. Beginning from the East, there is Ormenio-Alexandroupoli section, 176-km long. Here, the infrastructure has been renovated and electrification-signaling systems' installation is required for a section of 8 km. It is the most strategic section and along with the Bulgarian part to Burgas, it constitutes the famous Bosphorus Bypass, one of Europe's most important commercial corridors. The cost has been estimated at 160mn euros. Then, there is Alexandroupolis-Xanthi section, which is being fully renovated and upgraded with all required, modern systems. The third section concerns the new route between Xanthi-Kavala-Thessaloniki, which promises to shorten the trip by 3 hours, at speeds reaching up to 200km/h. It will be bypassing Xanthi-Drama-Serres-Thessaloniki section, which will continue to operate as a local line. Studies carried out by OSE and ERGOSE are at a very advanced stage and their findings are expected to decide whether the project can be implemented or not. The cost is estimated at 1.75bn euros. From these, 1.5bn euros concern Thessaloniki-Kavala section (Port of Nea Karvali) and 250mn euros, Kavala-Xanthi section (Toxotes). Passing into the Western section of Railway Egnatia, a new line from scratch will be required for the first section, making the project quite challenging from the very beginning. The existing section of Thessaloniki-Florina-Kozani makes a big curve and, in theory will not serve the purpose of the project. In case that a new line, between Thessaloniki,Veria and Kozani is opted for, new passages and tunnels will have to be created through Vermio mountain. The second section is Kozani-Kalambaka that will be joining Railway Egnatia through its existing line that ends today in Kalambaka. The third section betweeen Kalampaka and Ioannina will be the most difficult. Here, the line has to pass from Pindos mount range and, based on the experience of Egnatia Motorway, we know that the technical challenges will be great but not unsurpassable. However, the cost is estimated at several billion euros. All of the above sections require design, studies and maturation. We are currently at a very early stage, and perhaps there is a great opportunity to use value engineering in order to reduce the costs significantly without downgrading the value of the project. Railway Egnatia Railroad promises a solid connection with our Northern neighbors. In addition to the 3 existing gateways in Ormenio, Promachonas and Idomeni, the new project promises to establish new links: one with Albania and a second with FYROM. Kristallopigi-Pogradec railway section has a total length of about 130 km within the Greek and Albanian territory and has been recognized as part of the "TEN-T, Connecting Europe" project, linking Florina, Kozani and Kozani Airport to the Albanian railway network. There is even an inactive railway line between Florina-Southern Caucasus-Border,s roughly 13 km long (connection with Monastiri-Bitola in FYROM). The cost for the whole network is calculated approximately at 10bn euros, which sounds rather utopic to find within a reasonable timeframe. Neverthless. the difficulty to raise these admittedly huge funds, does not necessarily mean that the target is not feasible. The Eastern section has been largely activated already and what is needed to be done now is to invest money for studies concerning the Western section. It may also seem to be an excessive investment today, but thinking forward, requires us to identify the needs of the future and the priorities we set regarding growth opportunities, in the same way we did when we decided to upgrade our motorway network entirely. článek je z originálu portálu min. infr. Region Attika byl uplynulý týden zasažen extrémními přívalovými srážkami, při kterých zemřelo s aktualizací doposud minimálně 19 lidí. Údaj o počtu mrtvých stoupá z původních 5; poslední aktualizace proběhla k sobotě. Minulý rok stejný scénář s výsledkem 1 mrtvý. Systém varování pro řízení dopravy a omezení pohybu osob po ulicích selhal s napojením na úřady, které řídí meteorologické hodnoty. V pozoru bylo nejen Řecko, ale i Itálie, ale i tak to nepomohlo pro nedostatečná varování. Attika je oblast Atén, povodňová vlna se přehnala asi 20 km od centra města. Nejvíce zničené je město Mandra, ale i Nea Peramos a Megara. Silniční tah Atény - Korint byl na mnohých úsecích zcela pod vodou a mnoho ulic je zničených. Lidé zemřeli i v rámci svých domovů. Nevydrželo ani vícero protipovodňových zdí. Dalších minimálně 20 lidí bylo zraněno. Škody na majetku jdou do desítek milionů eur. Mandrou se prohnala vlna o výšce cca. 1m, v celé oblasti došlo k výpadkům elektrické energie a dodávkám pitné vody a navíc je celá tato oblast průmyslová, takže to zasáhlo i výrobně-dopravní sféru. V roce 2018 se má zahájit vyhlášení procesu, který má zjisit zájem o případnou výstavbu dálnice na Krétě (VOAK). Koncesním způsobem za asi 1,5 mld. € v délce 180 km. Čeká se i na postupy při vyvlastnění pozemků. Čeká se i na vyjádření EIB k financování projektu, která ale čeká na dokončení všech studií. Pokud půjde tento celý proces dobře, pak by se v roce 2019 mohlo rozhodnout o dodavateli a koncem tohoto roku zahájit i stavební práce. Ohledně připravovaného převedení státem vlastněného projektu EGNATIA ODOS na desítky let do soukromých rukou koncesním způsobem, aby Řecko získalo kapitál se očekává vysoký zájem firem. Koncese týká 658 km původní dálnice Egnatia Odos (Port of Ighoumenitsa - hranice s Tureckem u Kipi Evrou) a vertikálních osí (Thessaloniki - Promachonas, Siatista - Kristalopighi a Chalastra - Evzoni) v celkové délce dalších 225 km. Celkem se tedy plánuje odevzdat takhle 883 km dálniční sítě. Koncesionář má provést větší upgrade dálnic, zkapacitnit parkoviště atd. Dost se tady o projektě píše a nyní to jen doplňuji rozsahem. Co se týče harmonogramu, tak 26.1.2018 budou zájemci vyzvání prezentovat možný zájem a později v roce předložit finanční nabídky. Preferovaný koncesionář pak dostane tento rozsah dálnic na 40 let do užívání a umožní se zpoplatnění. Dnes 22.12. došlo k odevzdání do provozu 80 km dlouhého úseku na dálnici A3. Nese i jméno E65 Central Motorway. Jedná se o vůbec 1. úsek a to Xyniada - Trikola. A3 spojuje A1 a A2. Tento úsek měl být odevzdán do provozu v 10/2017, ale došlo k omeškání. Tady je informace o odevzdání do provozu z ministerstva infrastruktury a dopravy ze včerejška: http://www.yme.gr/?aid=5812&tid=21 . V roce 2006 se stanovila dálnice E65 jako dálnice Středního Řecka. V roce 2008 se stačila podepsat koncesní smlouva a v roce 2009 se zahajují stavební práce v délce 2 roky, jenomže v důsledku krize se koncesní smlouva upravovala a výstavba zásadně zpomalila. Stejně jak mnoho dalších úseků dálnic ve výstavbě po celé zemi. Řecko v roce 2000 disponovalo sítí dálnic někde kolem 600 km a až plánované LOH přispívají k tomu, že se zahájila další výstavba. Tak v roce 2005 bylo v provozu 900 km a v roce 2010 více jak 1.500 km. Ale tím se tento stav na několik let zmrazil. Ve výstavbě zamrzlo asi 400 km dálnic a až s impulsem ve výši skoro 3 mld. € z evropských fondů (ve vlákně vše psáno) se povedlo oživit výstavbu všeho co zamrzlo nebo zpomalilo a tak se Řecko dostává stále blíže k cíli 2.000 km. Celkový rozsah je plánován na 2.400 km. Dnes se tedy povedlo odevzdat do provozu 1. úsek na dálnici A3 a to rovnou v délce 80 km. Po 9 letech výstavby krátce před 11:00, slavnostní ceremoniál se odehrál v interiéri a i když bylo špatné počasí, tak se do provozu dostává v obou směrech s nasazením silničářské techniky. Tento úsek A3 jde navíc ve velké části ruka v ruce s paralelně novou elektrifikovanou železniční VRT, která má být v provozu v roce 2018. A3/E65 snižuje cestovní vzdálenost mezi Aténami a Trikalou o 30 minut na 3h a 20 min. Úsek se charakterizuje se snadným terénem, ale i tak se tady nacházejí 2 tunely v délce 1 km, 13 mostů, kde nejdelším je most Pinios v délce 595m, 17 nadjezdů, 22 podjezdů, 140 propustů. Koncem roku 2016 bylo tedy ve výstavbě v Řecku kolem 400 km dálnic a letos se do provozu odevzdalo minimálně 250 km z nich (některé zdroje jdou až k číslům 300-330). Celý rok jsem se snažil zvýšit povědomí jak o výstavbě jednotlivých úseků tak o názvech dálnic včetně map, záběrů přes videa atd. Mj. se po mnoha desetiletích dokončilo spojení 2 největších měst s úsekem, kde se nachází 6 km dlouhý tunel Tempi, ale tento úsek tvoří jen asi 10% toho co se letos odevzdalo do provozu. V Řecku se letos odevzdalo na dálnici A8 celkem 62 km. Šlo o úseky Xilokastro - Ligia (17 km) a Derveni - Lampiri (45 km). To znamená, že Řecko letos odevzdalo do provozu 310 - 330 km dálnic. Síť dálnic v Řecku se pohybuje na úrovni 2.200 km. Spolu s expresními silnicemi tak atakuje číslo 3.000 km. I když bylo Řecko co se týče dálniční infrastruktury na tom opravdu špatně ještě i před 20 lety (kolem 500 km), tak již v roce 2010 síť čítala rozsah 1.558 km. Ovšem mnoho projektů rozplánovaných po roce 2000 se postupně jak se blížil konec dekády dostalo pro krizi do obrovských problémů a než se celý sektor vzpamatoval a stabilizoval tak uběhlo dalších 10 let (2006 až 2016), kdy se výstavba rokem 2014 znovu pohla dopředu a rychle napředovala rokem 2016 a jen v roce 2017 se do provozu dostávají více než 3 stovky km dálnic. Tyto 4 projekty jsou v očekávaných nákladech 1,5 mld. €. Pro Řecko bylo štěstím, že se povedlo na většinu posledních stovek km dálnic odevzdaných do provozu uzatvořit v letech 2006 - 2008 koncesní smlouvy pro financování s renomovanými společnostemi. Krize pak oddálila proces realizace a nejsložitějším bylo období 2010 - 2013. Poté začátkem roku 2014 došel impulz z EU fondů v podobě 3 mld. € pro jednotlivé projekty. A další přineslo dofinancování koncesními společnostemi rokem 2016. Ovoce to přináší dodnes. I navzdory krize tak dokázalo Řecko dobudovat za 7 let 600 km dálnic. Netrčí pilíře všude po celém státě, nestojí výstavba na všechny strany. Rozsahem dálniční sítě se Řecko řadí ke špičce zemí EU (obyvatelstvo, rozloha atd.). Budoucnost nových projektů je nejistá, ale I. generace dálnic již Řecku slouží. Sumárně jde o projekty za odhadované náklady v rozsahu 6-7 mld. €. Dálniční projekty tvoří z toho objem 40%. Dále, Řecko připravuje zrušení stávajícího modelu pro výběr mýta a chce ho nahradit elektronickým systémem. I. etapa bude stát 400 mil. €, dotkne se 880 km dálnic, které jsou dnes de facto zadarmo. Platforma bude elektronická a satelitní, účtování za skutečně ujeté km. Již běží 1. fáze o předběžný zájem vybudování takového systému, kde je výzva k nabídkám k 20.2. Předpokládají se náklady v hodnotě 400 mil. € a až tyto nabídky ukážou další postupy. Řecko vychází z toho modelu, který velmi podobný je zavedený v rámci Vinci, Autostrade a Kapsch a implementace je pak i v Německu, Slovensku, Maďarsku a Belgii. Z hlediska zavedení se to týka nejdříve Egnatia Odos, protože tam je provoz momentálně zdarma, ale dálnice se tendruje do udělení koncese. Teprve až poté se rozšíří na dálnice Olympia, Moreas, Nea Odos, Aegen a E65. Ohledně mostu Rio-Antirrio a dálnic Attiki Motorway se prosazuje model fakturační a nikoliv na základě km. Řeší se i to, kdo bude systém nového výběru spravovat. Zda-li stát, který by jej provozoval a připisoval stávajcím koncesionářům peníze nebo se najde jiný model. Problematické je již to, že všechny koncesionářské smlouvy mají svojí jurisdikci v této oblasti pro dané projekty. Základním prvkem tady bude vyjádření bank a věřitelů, kteří dálniční projekty financují. Z hlediska praktického se pak uvažuje o dvojitém modelu: pro automobily budou snímače a video kamery na každém nájezdu a sjezdu a platba ve vztahu k SPZ. Pro nákladní dopravu satelitní systém v rámci povinně zabudované krabičky podobné té dnešní a průběžně během jízdy budou probíhat transakce. Slevy budou v rukou koncesionářů. Řecko zároveň přinutí zahraniční vozidla obstarat si takové systémy, které budou kompatibilní s řeckým modelem. V případě aut půjde o náhradní značku, která bude čitelná pro snímače a kamery a nákladní vozy příslušnou krabičku do vozu. Je zde mnoho nedořešených problémů, které se teprve poodhalí v rámci předložených prvních nabídek a tak se neočekává, že by se systém mohl již letos uvést do praxe. Náklady spojené na instalaci systému zaplatí stát, ale již hledá i volné zdroje z EU fondů 2014 - 2020 na následné proplacení. Náklady se tedy odhadují na 400 mil. €, ale to je již i s DPH. 18.1. totiž min. infr. a dopravy uveřejnilo mezinárodní tendr s předběžnými požadavkami a v této ceně. Ukončení tendrování se pak očekává nejdříve v březnu. Projekt se týká Egnatia Odos a její osí, tedy asi 880 km dálnic. Náklady pokryjí celou realizaci projektu. Hlavním cílem je, aby již koncem roku 2018 byl projekt schopen fungování v testovací rovině a v plné provozuschopnosti v roce 2019. Ministerstvo plánuje letos na tento projekt vynaložit 100 mil. €, v roce 2019 pak 270 mil. €, v roce 2020 dalších 10,5 mil. €, v roce 2021 10 mil. € a 10 mil. € i v roce 2022. ... Ohledně připravovaného převedení státem vlastněného projektu EGNATIA ODOS na desítky let do soukromých rukou koncesním způsobem, aby Řecko získalo kapitál se očekává vysoký zájem firem. Koncese týká 658 km původní dálnice Egnatia Odos (Port of Ighoumenitsa - hranice s Tureckem u Kipi Evrou) a vertikálních osí (Thessaloniki - Promachonas, Siatista - Kristalopighi a Chalastra - Evzoni) v celkové délce dalších 225 km. Celkem se tedy plánuje odevzdat takhle 883 km dálniční sítě. Koncesionář má provést větší upgrade dálnic, zkapacitnit parkoviště atd. Dost se tady o projektě píše a nyní to jen doplňuji rozsahem. Co se týče harmonogramu, tak 26.1.2018 budou zájemci vyzvání prezentovat možný zájem a později v roce předložit finanční nabídky. Preferovaný koncesionář pak dostane tento rozsah dálnic na 40 let do užívání a umožní se zpoplatnění. Předběžný zájem o koncesi na dálnici Egnatia Odos a její napájecí dálniční větvy jeví zájem 9 titánů a že pokud se udrží tento počet i při předložení finančních nabídek, tak to může být opravdu zajímavé, stojí ve stanovisku ministerstva dopravy a infrastruktury. Anas International Enterprise S.p.A. operates as the foreign markets arm of Anas S.p.A., which is the delegated authority on behalf of Italian government for the development and upgrading of the national road and motorway network. 2. The Consortium of ROADIS Transportation Holding S.L.U., AKTOR CONCESSIONS S.A.
ROADIS Transportation Holding S.L.U. is a subsidiary of PSP Investments Canada, Inc., Canada’s pension investment management company. AKTOR CONCESSIONS S.A. operates as a holding company in concession and service provision. It is a subsidiary of the listed company ELLAKTOR, who is active in the fields of infrastructure, construction, waste management etc. 3. The Consortium VINCI HIGHWAYS S.A.S–VINCI CONCESSIONS S.A.S.–MYTILINEOS HOLDINGS S.A.
VINCI HIGHWAYS S.A.S a subsidiary of VINCI Concessions S.A.S., constructs and operates roads and highways. The company is based in France. VINCI CONCESSIONS S.A.S. operates as a concessions and construction company. The aforementioned companies are members of VINCI group, the French group, operating worldwide. The group’s business lines include inter-alia autoroutes, airports, concessions and energy. MYTILINEOS HOLDINGS S.A. is a Greek industrial group with international activity in Engineering, Procurement and Construction (EPC projects), metallurgy, electric power and gas trading. 4. The Consortium of GEK TERNA S.A. EGIS PROJECTS S.A.
GEK TERNA S.A. is a listed Greek company active in construction, concessions, renewable energy, thermal energy, waste management, mining and real estate. EGIS PROJECTS S.A. is developing and managing transport infrastructure projects and is a member of the French group EGIS, which operates in the sectors of aviation, construction, energy. DEUTSCHE INVEST EQUITY PARTNERS GMBH is a principal investment firm headquartered in Germany. DIMERA LTD is an investment group investing mainly in infrastructure, FMCG, hospitality and leisure. 6. The Consortium of SICHUAN COMMUNICATIONS INVESTMENT GROUP CO., LTD–DAMCO ENERGY S.A.
SICHUAN COMMUNICATIONS INVESTMENT GROUP CO., LTD is a Chinese company that engages in the investment, construction, operation, and management of transportation infrastructure. DAMCO ENERGY S.A. is a Greek company, active in the construction of energy projects and in the supply and installation of equipment in large power plants. DAMCO ENERGY S.A. is member of Copelouzos group which is active in the areas of energy production and trading waste management, natural gas, concessions, property and services. Intertoll Capital Partners B.V. is based in Netherlands and is a member of Intertoll group which is a motorway infrastructure developer and operator based in Hungary. J&P–AVAX S.A. is a listed Greek construction company active in various projects worldwide. Aberdeen European Infrastructure Partners II LP is a private equity fund investing in Public Private Partnership (PPP) in infrastructure projects. Macquarie Infrastructure and Real Assets (Europe) Limited is a fully owned subsidiary of Macquarie Group Limited and is a global investment manager with a diverse portfolio that includes infrastructure, electricity and gas transmission and distribution networks among others. DIOLKOS CONTRUCTION S.A. is a Greek construction company owned by RAVAGO S.A group. RAVAGO’S activities include polymer distribution, chemical solutions, logistics, construction materials and others. Řecko pociťuje ještě nedostatek infrastrukturních projektů v celkové částce ve výši 18,7 mld. € pro rok 2017. Je to pokles oproti předchozím letem. Je nutno zdůraznit, že v letech 2014 až 2017 se dokončilo 25 projektů z dopravy, energetiky, vodohospodářské infrastruktury za celkem 7,7 mld. €. Ze stávajících projektů ve výši 18,7 mld. € je v různém stádiu příprav a výstavby celkem ve vyjádření 11,1 mld. €. Částka 18,7 mld. € se vztahuje na celkem 75 projektů a vláda chce tyto projekty protlačit do roku 2023. Hlavní členení je následující: 38% energetika, 36% železnice a metro, 15% dálnice a silnice. Projekty za asi 9 mld. € směrují k realizaci nebo se již realizují. Z velkých projektů v letech 2014 - 2017 se dokončilo hlavně mnoho dálnic; Olympia Odos za 1,5 mld. €, Moreas Motorway za 1 mld. € atd. Ministerstvo infrastruktury uvedlo, že z hlediska příprav železnic, metra a tramvají je blízko realizace 62% projektů. Chybějící infrastrukturní projekty tohoto typu se budou i nadále realizovat jen díky fondům EU (2014 - 2020) a s formou PPP, tedy formou koncesí. Řecko potřebuje soukromý kapitál, který když investuje, tak je to známka, že řecké finance jsou udržitelné a Řecko udělá všechno pro to, aby ten kapitál do Řecka směroval. Do roku 2020 se mají zrealizovat další projekty za 8,7 mld. € a tedy sumárně mají investice zaznamenat pokračují růst, i když s delším tempem realizace a co se týče silnic a dálnic, tak tento segment zásadně klesne. Ohledně PPP řecké min. infrastruktury, že nebýt tohoto modelu, když koncem předchozího desetiletí se uzavírají smlouvy na koncese mnoha velkých infrastrukturních staveb, tak by projekty odevzdáváné do užívání v předchozích letech jednoduše nebylo možné do užívání odevzdávat. Soukromý kapitál je v Řecku již v mnoha dalších oblastech: modernizace 24 škol v regionu Attika, realizace průmyslně-developerských parků atd. Připravuje se i zapojení kapitálu do modernizace zdravotnických zařízení vzhledem k faktu, že státních peněz je pro všechny oblasti málo a to co garantuje stát jako služby zdarma de facto nefungují vůbec nebo kvalita prudce upadá. Koncesní projekty získavají podíl jak z bank, daných firem, tak i státu a daří se tak investovat do celého spektra služeb i mimo velkých projektů v časech, kdy se stát musí zaměřovat na řešení vysokého dluhu a dalších reforem v hospodářství. Problémem je i fakt, že za uplynulých 10 let se dramaticky snižují výdaje na běžnou údržbu mnoha tisícovek objektů v rukou státu a samosprávy. Nezaměstnanost v Řecku se nyní pohybuje kolem 21%, respektivě je bez práce skoro 1 milion lidí. V celé EU je to pak kolem 18 mil., v zemích s € kolem 14 mil. Mzdy a důchody stagnují, z čeho tedy bude obyvatelstvo platit za služby v nemocnicích nebo na vzdělání je zřejmé; zhorší se jejich dostupnost. Developments concerning Attiki Motorway and its extensions as well as the expansion of Suburban Railway's network to Lavrio and Rafina have been postponed after 2019. Three major projects, that mainly concern Southeastern Attica, will unfortunately coincide with the elections year, making it harder for them to accelerate. A few days ago, in Rafina, Minister of Infrastructure and Transport, Mr. Christos Spirtzis, spoke about the future projects in Eastern Attica. He said that in 2019, negotiations with the European Union concerning the funding of major road projects in Attica are expected to be completed. 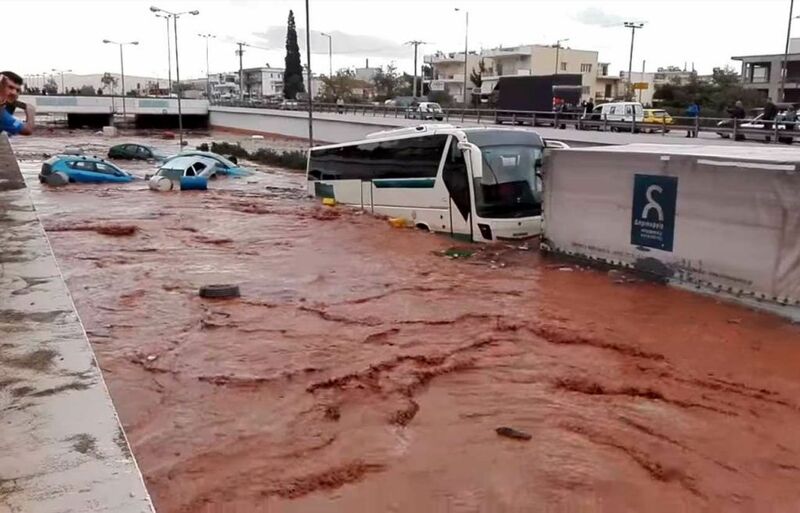 However, this development reminds us of Patras-Pyrgos Motorway project that fell onto 2015 elections, and, if we go a little further back in time, we will see that something similar happened to Kasteli Airport, a project, which was affected right at the beginning of the crisis, transferring the date of the relevant tender more than 10 times (!). The scope of the construction works of Attiki Motorway's extensions is not yet finalized, but the "favorites" to proceed to implementation are: the extension of Hymettus Western Ring Road, through an urban tunnel up to Vouliagmenis Ave. (close to Aghios Dimitrios Metro Station), the extension to Rafina in order to enable the port to operate and develop, the completion of Eghaleo Ring Road, the extension of Kymi Ave., while a proposal for an extension up to the the port of Lavrio is also on the table. The cost for the above exceeds 1bn euros and it is expected to be combined with a new concession agreement that will include the existing Attica Motorway's infrastructure (current contract is due to expire in 2024). Railway projects include a 32 km long extension betweeen Koropi and Lavrio, with 7 stations and an estimated cost of 160mio euros and the extension between Athens International Airport and Rafina, which is about 7 km long. For the above-mentioned projects, studies are required in order for them to mature and be able to claim funding, while for the projects of the Suburban there is a different implementing entity (ERGOSE), making it more difficult, theoretically, to see all projects to be launched combined, as a "bundle". In any case, their completion should be expected after 2025, provided that their construction starts in 2020-2021. The last piece of the puzzle, the last pending construction project of Olympia Motorway, was completed yesterday. As it was announced by the Motorway's operating company, Rio's Interchaange construction project was completed according to schedule. Rio Interchange branches to 8 different directions and will serve over 20,000 vehicles daily. It is the second largest but also the most difficult sub-project of Olympia Motorway, after the impessive Big Panagopoula Tunnel. It is noteworthy that it is also the largest interchange of the South-Western Balkans and it is among the 3 most complex interchanges of the country after those of Faliro and Thessaloniki's Ring Road. It is worth mentioning that the operation of the new interchange as well as Patra's Ring Road is toll-free, meaning that someone moving from Pyrgos or Patras to Epirus will not pay for its use. The new infrastructure also serves local destinations such as various resorts, the University and the Hospital. The technical difficulties of the construction were particularly high, given the restrictions on the development of the project (due to the train lines, settlements, etc.). Moreover, at this point the motorway crosses the new railway line, while the interchange will also incorporate the Old National Road, a significant part of which has been reconstructed. Due to the extent, the complexity of the structure and the need to operate all of the eight directions while under construction, the local residents of Rio experienced significant and prolonged disturbance. Řecko vysoutěžilo 8. úsek na 75 km prodloužení dálnice Patra - Pyrgos. Přidávám seznam všech 8 úseků. The bids for the 8th (and last) contract for the construction of Patra-Pyrgos Motorway, with a total length of 75 km, was finalized yesterday. The latest contender to win the last contract was the Italian GD INFRASTRUTTURE with a discount of 52.4%. The completion of the bids for the 8th contract will finally allow the end of the pre-contractual period, which will open with the signing of the contracts and the beginning of the construction stage, sometime in 2018. It is reminded that the funding of the project will be covered by NSRF 2014-2020. The duration of the construction is 42 months putting the completion and operation of the project in 2022. Pending issues, before the final signatures, include the approval of the contracts by the Court of Auditors (a process that usually takes 2-4 months) and the ratification by the Greek Parliament. 1st contract: PYRGOS-DUNEIKA (12.7.16), 67.2mln euros, TOXOTIS-CONSTRUCTION GROUP with a 53.05% discount. 2nd contract: DUNEIKA-AMALIADA (17.5.16), 54,5mln euros, TOXOTIS-CONSTRUCTION GROUP with a 55,32% discount. 3rd contract: AMALIADA-KYLLINI (14.6.16), 56,16mln euros, TOXOTIS-CONSTRUCTION GROUP with a 57,45% discount. 4th contract: KYLLINI-VARDA, (7.2.17), 74,01mln euros, TOXOTIS-CONSTRUCTION GROUP with a 50,39% discount. 5th contract: VARDA-SAGHEIKA: (4.4.17), 74,37mln euros, XANTHAKIS-INTERKAT with a 49,90% discount. 6th contract: SAGHEIKA-KATO ACHAGHIA (30.5.17), 74,39mln euros, DG INFRASTRUTTURE with a 53.40% discount. 7th contract: KATO ACHAGIA-PATRAS INDUSTRIAL AREA (25.7.17), 35,79mln euros, INTERKAT with a 50,99% discount . 8th Contract: PATRAS INDUSTRIAL AREA-MITILOGLI (14.3.18), 74,4mln euros, DG INFRASTRUTTURE with a 52,40% discount. The implementation of 2 very large road projects for the country will be supported through... Europe. According to the General Secretary of Infrastructure who spoke at Ypodomes.com, EIB sees very positively the funding of E65's Northern section (i.e. from Trikala to Egnatia Motorway) as well as Chalkida Road Detour, with a total cost of 600mln euros. "We are in negotiations with EIB for these 2 projects and we are optimistic that we will have positive developments and announcements for their implementation really soon", Mr. Dedes noted. If all goes as planned, EIB will finance the project by approximately 50% (this is a common practice for such projects). The remaining funds will be covered by NSRF or Public Investments Program. The Northern section of E65 is considered to be crucial for the motorway's completion making the 155 km long axis, a thoroughfare between Egnatia Motorway (North) and Athens-Thessaloniki Motorway (South). The cost of the project reaches 400mln euros while the construction of its Southern section (Lamia-Xyniada) is expected to start in the Summer. It is noted that the project has approved environmental licensing and feasibility study. The project will be implemented by TERNA. If funding is secured, the project is very likely to start in 2018. Of course, before that, the contract must be awarded by the Ministry of Infrastructure and Transport and Finance and, consequently, must be ratified in the Greek Parliament. A remaining issue is the completion of expropriations. Construction period will last for 3 years. Regarding Chalkida Road Detour, the cost is estimated at 200mln euros and, if a "green light" is given by EIB, an acceleration is expected with a call for tenders as soon as in the Summer. The scope of the project is a covered motorway with a length of 17 km long, 2 lanes per direction (+emergency lane), making it the very first section of a safe and modern motorway on the island of Evia. Střední úsek na E65 Central Motorway byl odevzdán do provozu v roce 2017: viewtopic.php?p=158077#p158077 . Minimálně 70 mrtvých v regionu hlavního města a 150 zraněných při obrovských požárech. I dálniční systém zůstal paralyzován. Iónská dálnice je 1., na které lze najít dobíjecí stanice pro elektromobily. Tato elektrifikace dálnic bude pokračovat i dalšími dopravními osami. 2. pro osobní vozidla, automatická identifikace s dopravními kamerami; technologie ANPR: Automatic Number Plate Reading. 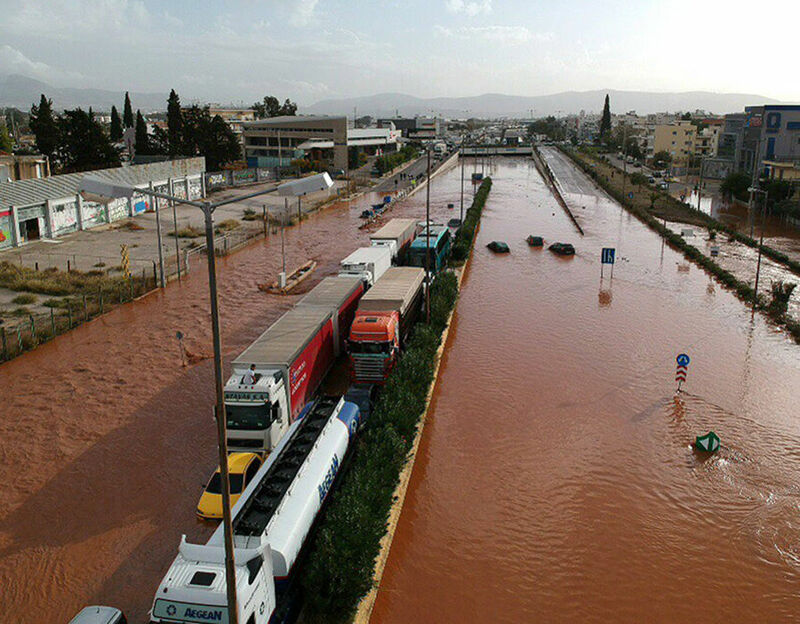 On August 6, the "battle" begins for Crete's Northern Motorway Axis (aka VOAK). After the tender's approval, dates for the bids, regarding the double project, were finally announced. It is reminded that the project is split in 2 separate competitions. The first concerns a concession agreement for the section between Chania and Hersonissos and the second for the section Hersonissos-Neapolis as a PPP project. As we have already mentioned, this double project is the largest new generation road project in the country, the second largest new project in general (second only to the construction of Athens Metro Line 4) and the largest new concession project (higher than Kasteli Airport in Heraklion and the Salamina Underwater Road Tunnel). The costs have been estimated at around 1.1bn euros for the concession project and 359.6mln euros (VAT incl., excl. VAT: 290mln euros) for the PPP project. The concession project starts from Chania Bypass -before Vamvakopoulos Interchange- ending 700 m. after the underpass in Kasteli Interchange, in the already constructed Gournes - Hersonissos section. The duration of the concession is set at 25 years (or 300 months) from the signing of the contract. Based on the experience so far, a first estimate is that construction works could start by 2020. The competition will be conducted in 3 phases, as described in the Call. The scope of the contract is the implementation of the PPP project for the 2nd road section (Hersonissos-Neapoli), while the repayment of the final amount will be made with availability payments from the Greek State for a period of 30 years (or 360 months), i.e. 5 years longer than the concession contract. There is also a provision for the construction of the remaining section from Neapolis to Aghios Nikolaos, 14.2km long. The precise scope of the project and the conditions for the activation of the above-mentioned option, will be further specified in Phase B' of the present competition. Stát by tak ušetřil čas i peníze. Realizace výše uvedených projektů se odhaduje na 1,5 mld. €. A to zda se pak ještě prodlouží koncese o další roky pro tyto investice nebo si to stát zajistí jinak se prozatím neřeší. After a prolonged "thriller", it finally became known that AKTOR-TERNA J/V underbidded for the so-called "sweep contract" that willl complete the construction of Aktio-Amvrakia Motorway. The construction of the 48.5 km long axis had begun in March 2010 and has literally been described as a "tormented" project. According to information, the J/V's discount reached 49.85%. The "thriller" is justified due to a problem in the electronic tendering system, which delayed the process for several hours. The project has also attracted the interest of the Italian GD Infrastrutture, which came second with a 42.41% discount.It is reminded that the same company has undertaken Psathopyrgos-Rio railway project and two contracts on Patra-Pyrgos Motorway. The "sweep contract" includes works in e total length of 32.2 km, for the remaining sections. The cost is 150mln euros (incl. VAT, VAT excl. 120.96mln euros). An additional amount of 10.5mln (incl. VAT, VAT excl. 8.46mln euros) for optional works and the construction of a direct connection of the road with Ionian Motorway. Both offers' submission and their unsealing took place on the same day. The duration of the project is set at 30 months. As soon as the contract is signed, probably at the beginning of next year, the completion of the project will be expected in the second half of 2021. The project is funded by SAE071/8 and is a phashing project from NSRF 2007-2013, which has been included in the current programming period. The approval of Lamia-Xyniada section's Project Envelope, the southern part of E65 Motorway, is now a matter of weeks according to the CEO of GEK TERNA, Mr. George Peristeris. Once confirmed, it will be a "happy end" of a prolonged waiting period that began in 2016 when the Project Envelope arrived at DG Comp in Brussels. The approval will also trigger the beginning of the construction phase relieving hundreds of workers currently struggling with unemployment. The project will be funded by NSRF 2014-2020 with 300mln euros. The duration of the works is set at 36 months, but the predicted construction time is likely to shrink as the "blind" section of E65 Motorway (i.e. the central section in the heart of Thessaly) needs the southern part desperately in order to be connected to Athens-Thessaloniki road axis. Today, Xyniada-Trikala section, in spite of its great contribution to reducing time distances and bypassing the very dangerous curves of Domokos, remains the only covered motorway without a connection to the country's motorway network. The construction of the 32.5 km long road is divided into 3 distinct sections. The northern section, between Trikala and Egnatia, appears to have secured funds European Investment Bank but the construction is not expected to start before 2019. The implementation of this project is also expected not encounter the same delays with Lamia-Xyniada section, as it will not be included in NSRF, with whatever this entails. The cost has been estimated at 400mln euros, while environmental licensing has been approved by the Region of Western Macedonia and the Region of Thessaly. However the problem here might be the required expropriations. It is worth mentioning that the southern and northern part of E65 Motorway will have the same characteristics as the middle section of Xyniada-Trikala; it will be a covered motorway with 2 lanes per direction and an emergency lane. If both constructions are activated during this year, E65 will be able to be integrated to the country's motorway netowrok, all the way from Lamia to Grevena in 2021, transforming road transport to Western Thessaly, Western Macedonia and Epirus by offering significant alternatives. It is noteworthy that Athens-Grevena and Athens-Metsovo routes will be covered in 4 hours, Athens-Kastoria and Athens-Kozani in about 4 hours and 30 minutes, thus bringing much closer the northwestern regions of the country to southern Greece. The assessment of all 8 contracts for the construction of Patra-Pyrgos Motorway, the natural extension of Olympia Motorway, is underway at the Court of Auditors. According to well-informed sources of ypodomes.com, all temporary underbidders that have been declared through the tendering process are still present. This means that for the first 4 contracts we have Toksotis-Constructions Group, having renewed the participation guarantees, as well as DG Infrastrutture (contracts 6 & 8), Ksanthakis-Interkat for the 5th contract and Interkat for the 7th. This important development takes us even closer to the completion of the pre-contractual period and the beginning of the construction stage, probably in the end of the year or early 2019. Also for the moment, secenarios regarding the replacement of the current contractors, at least until the signatures, seem to be refuted. Once the audit is completed and approved, all 8 contracts will be ratified by the Greek Parliament and will be then signed in order for the 42-month construction period (as specified in the tender notice) to star, leading us to 2022 and the completion of the project. Patra-Pyrgos Motorway is the largest public road project for 2014-2020 NSRF period with a budget of 293mln euros. Motorway's total length, which is a part of the Pan-European Transport Network (TEN-T) is 75 km. This project, funded by the EU, also includes complementary infrastructure projects such as bridges, crossings as well as access improvements from residential and rural areas to the main axis, with 130 km of new or upgraded dirt roads. Řecko má hlavní vlnu výstavby dálniční sítě již za sebou. Zůstávají sice další úseky a i celá dálnice na Krétě, ale ta se již tendruje jak jsem psal i výše. De facto dostane dálnici každý region Řecka. Zároveň se začínají vylepšovat dálnice v hlavním městě, ty první koncese, které jsou tam udělené se pravděpodobně prodlouží o několik let a ještě se dobudují nové MÚK a něco se rozšíří a jinak napojí. Ale nepochybně ta masivní vlna výstavby je na konci. Naopak ale investice do dopravní infrastruktury se udrží a to díky pro změnu masivního rozvoje železniční dopravy. O tom jsem psal v tomto vlákně v rámci největších projektů nebo to občas napíšu. Železnice a metro přebírají hlavní část rozvoje dopravní infrastruktury. Mnoho z projektů dálnic/železnic zažilo kvůli krizi etapovité financování napříč 2 fondové období EU, ale to další, které dojde bude jednak železnice tady přeferovat a zároveň se projekty snadněji zrealizují, protože se začne od čistého stola na vícero z nich. Pár stovek km se ale staví nebo brzo stavět bude a tomu samozřejmě ještě budu věnovat svojí pozornost. Řecko od teď čerpá výhody nových dálnic na další desítky let. A jedna novinka z řeckého ministerstva infrastruktury a dopravy: západní část okruhu města Thessaloniki se dočká do léta 2019 dokončení 2 kontraktů. Hlavním důvodem omeškání ale nejsou peníze, ale pomalý proces vyvlastnění pozemků. Hned jak se odevzdají do provozu dokončené stavby, tak se zahájí tendr za 38 mil. € na práce na MÚK 14 (s větví z dálnice PAThE) do MÚK Efkarpia s datem dokončení 4 roky, tedy někdy kolem 2023. Celkové náklady jsou kolem 110 mil. € a jsou čerpané z NSRF 07-13 a NSRF 14-20. Po dostavbě 2 částí se zlepší napojení na letiště, na jižní část prefektury města a Chalkidiki. The design of the main transport networks in the country, at least as they had been built back in the 1990s, created specific characteristics which later proved to be obstructions for further development. For example, the country's main motorway axis was named PAThE, an acronym from the cities of Patra, Athens, Thessaloniki and Evzoni. At the same time the main railway corridor was named PAThEP, including the same cities with the addition of Promachonas. In 2001 the then Minister of Infrastructure and Transport, Mr. Kostas Laliotis initiated a plan for 5 new motorway axes, which were considered to be a colossal project at the time, while his successor, Mr. Giorgos Souflias managed to put that plan on track for implementation a few years later. In fact, what these two Ministers did (for the sake of all, eventually) was to "cancel" the famous PAThE and create what our country has today, an integrated motorway network. Thanks to what was then thought to be a super expensive (and maybe unnecessary), now Greece is able to support and develop road and combined transport in the most parts of the country as the new network links big urban centers, industrial areas, ports and airports. As we see, this network will grow with additions in new regions of the country. This great legacy was made possible because the mentality that wanted the country to remain with a small and limited network of roads was finally overcome. In spite of the weaknesses, that are mainly related the existing tolling system and its prices which, at least under the current economic conditions, do not allow large increases and traffic loads, the value of these roads is being discovered day by day while their future is inextricably linked to the country's economic development. With a delay of 20 years, we find ourselves in the same crossroads today, regarding the Greek railway network. The similarities are shocking. We are now trying to complete PAThEP. At best, by the end of the year, the section between Piraeus and Idomeni will have been completed and in gradually, until 2025, the remaining sections to Promachonas (North) and Patra (South). Today's perception is that this is the country's core network and that the railroad cannot go everywhere. This, in turn, excludes very large parts of the country like almost all of the Western, Central and Southern Peloponnese, many areas from the Western part of Central Greece, all of Epirus and a large part of Western Macedonia. All in all, the country's West is ruled out, with the exception of the line that will reach Patra. At this point, perhaps it is a good opportunity to see if the "successful" example of the motorways could also be applied for the train and pull the country out of the dominant perception that could lead to the development of a decent rail network . Besides, the bitter truth is that Greece, even in comparison with other European countries of the same size or population, has a much smaller network. In the North, a promising message is the promotion of the "Railway Egnatia's" Eastern section (via Sea2Sea). From Thessaloniki to Alexandroupolis and Ormenio, the foundations are being laid in order to see this line being modernized and upgraded in the years to come, a plan that has been put on the table by the current Minister of Infrastructure and Transport, Mr. Christos Spirtzis. All this could be even a good start to revisit the issue of the country's railways, with new lines, upgrade (where necessary) and by creating a viable network in most of the country. The discussion should not revolve around whether we will create a single or double-track railway line but where we should build one. Of course, in the North, we still have to materialize the Western part of the "Railway Egnatia", that will reach Ioannina and Igoumenitsa via Veroia, Kozani and Kalampaka, and with 2 new branches, the Albanian and Skopje networks. In Peloponnese we also have the "unsurpassable" boundary of Patra which, as it is the case with the motorway, it could be easily extended to Pirgos. Again, the rationale of upgrading only the existing metric-gauge line blocks the electric train from reach the capital of Ilia prefecture. Also, let's not forget the plan for the reinstatement of the line berween Corinth, Nafplio and Tripoli and from Pirgos to Kalamata. Speaking of new lines, we must not forget the plan for the Attica's new bypasses (both road and railway): Thriassio - Thiva and the extensions to Rafina and Lavrio ports and the creation of a new line in Thessaloniki Suburban Railway to the West of the city. Reading the above, one could say that the country can not withstand projects of that scale that could even be potentially unnecessary and only for the sake of the "contractors". However a look at the motorways today should convince everybody that infrastructure is fundamental for the economic growth, as it has been the case for the developed countries, as long as the projects are designed well and in a sustainable way. Ministerstvo infrastruktury a dopravy považuje tento zájem za dostatečný v tom ohledu, že se může pokračovat ve výběru konečných zhotovitelů, že tedy je konkurence firem dostatečná a dokonce až větší, než se dalo očekávat. Všichni zájemci nyní budou předkládat technické a finanční podklady pro realizaci. Ministerstvo zdůraznilo, že projekty jsou od sebe nezávislé a klidně se tady může stát, že 1 firma postaví obidva projekty, ale stejně tak můžou být společnosti odlišné. Ten první a hlavní projekt je klasifikován jako koncesní smlouva a je to vůbec páteřní investicí i proto, že navazuje na strategický rozvoj dalších dopravních infrastrukturních objektů na ostrově jako například nové letiště v Kastelli, upgrade letiště v Chanii atd. a zásadně zlepší bezpečnost silničního provozu a podpoří další místní hospodářský růst. Náklady na výstavbu se odhadují na částku kolem 1,1 mld. €. Od koncesionáře se přitom očekává, že podstatnou část nákladů i zafinancuje s tím, že stát tady v malém bude účastný. Ten druhý projekt je klasifikován jako PPP a přesně jde o 20 km prodloužení silnice na východ v přidání již vypsané trasy s upgradovým charakterem. Náklady se mají pohybovat kolem 250 mil. € a očekává se financování z převážně soukromých zdrojů. V tomto případě je ten rozdíl v tom, že tady bude stát platit ve splátkách za tzv. dostupnost stavby a to v měsíčních tranžích. Celkem se jedná o přibližně 200 km nové dálnice v severní části ostrova Kréta ze západu na východ. Je to jeden z největších infrastrukturních projektů, který se teprve začne a jeden z největších silničních v rámci nové generace silničních projektů v Řecku. No a další velmi důležitá zpráva je, že EK dala zelenou pro financování 32 km dlouhého úseku dálnice A3 nebo E65 Central Motorway a to v úseku Lamia - Xiniada; znovu tady odkážu na tento příspěvek: viewtopic.php?p=158077#p158077 , kde se jedná o střední etapu a toto schválení se zase týká toho jižního, kde Lamia je na mapě. Dostavbou se napojí na dálniční síť tato nová centrální dálnice. Nyní to ještě schválí Dvůr auditorů a může se zahájit výstavba, protože společnost je vytendrovaná a to TERNA. E65 se tak napojí na PAThE. Řecko čeká na schválení financování 2 roky. Úsek Lamia - Ksiniada bude dlouhý 32,5 km v nákladech 310 mil. €. Výstavba má trvat 3 roky. Největším technickým objektem tady bude 3 km dlouhý tunel Domokos (bude jeden z nejdelších v Řecku), který je již z 33% délky vyražený. Zůstane tak dobudovat severní část Trikala - Egnatia Odos a tady se uvažuje o zapojení EIB. S výstavbou se nepočítá dříve než po roce 2019. Řecko připravuje v rámci dalšího rozvoje dálniční sítě postavit i 2. dálniční napojení na Albánii. Jde o dálnici, která prodlouží stávající Iónskou dálnici a to od Ionannina až po Kakavia. Délka tohoto tahu jednou bude 64 km. Původně byl plán jí zařadit již do programu 14-20, ale stane se tak až v tom dalším. Nejlépe připravená je 34 km dlouhá část Pedini - Karyes, protože tady jsou již i projektové studie. Náklady na tuto část se odhadují na 340 mil. €. O financování totiž jeví zájem i EIB. Tolik summit z Thessaloniki; jeho obdoba byla nedávno v Dubrovniku; jsou to "dálniční summity" za účasti stavebních, finančních a vládních kruhů, které určují další rozvoj dálniční sítě v daných státech. Nejen v těchto samozřejmě. Snem transformace Řecka bylo dokončení nekompletní infrastruktury. Opravdu ještě několik desítek let zpátky tady nebyla dálniční síť, nečrtala se žádní vize moderních železnic, letišť a dalších staveb. Plány tohle všechno sice startují po roce 2000 pro OH v Aténách, ale dosah na celý stát se plně začal až po roce 2007 s novým programem EU. Pak přišla finanční krize a všechno oddálila. Navzdory všem překážkám je dnes ale dálniční síť téměř u konce. Železnice i metro se velikém tendrují nebo jdou projekt za projektem do realizace. Modernizace je v letecké i námořní dopravě. Kdysi nekompaktní dopravní infrastruktura dnes patří k nejlepším ve světě. A to i navzdory ekonomické krizi. Dnes má Řecko kolem 2.200 km dálnic (jíz vícekrát zmíněno): Egnatia Odos a její vertikální osi tvoří kolem 900 km. Moreas Motorway pak kolem 200 km. Atény - Solúň s osami (Nea Odos, Kentriki Odos, Aegen Motorway) tvoří dalších 500 km. Attiki Motoway je dalších 65 km. Dominantní most Rio-Antiririo dalších 5 km, Kentriki Odos E65 pak 80 km, Olympia Odos dalších 200 km, Ionian Odos 200 km. VOAK tedy dálnice na Krétě již 42 km a dalších 25 km je již okruh v Solúni. Většina z toho tady opravdu donedávna nestála. A brzo se postaví další stovky km, o čem jsem psal výše. Je to ve schvalovacím procesu auditorů v EU nebo se tendruje formou PPP. Dalším rokem v létě má být koridor Atény - Solúň z Kiato po letiště v Aténách plně modernizovaný 2-kolejní trať s elektrifikací. Během 2019 se po 10 letech znovu vrátí do provozu Kiato - Eghio. 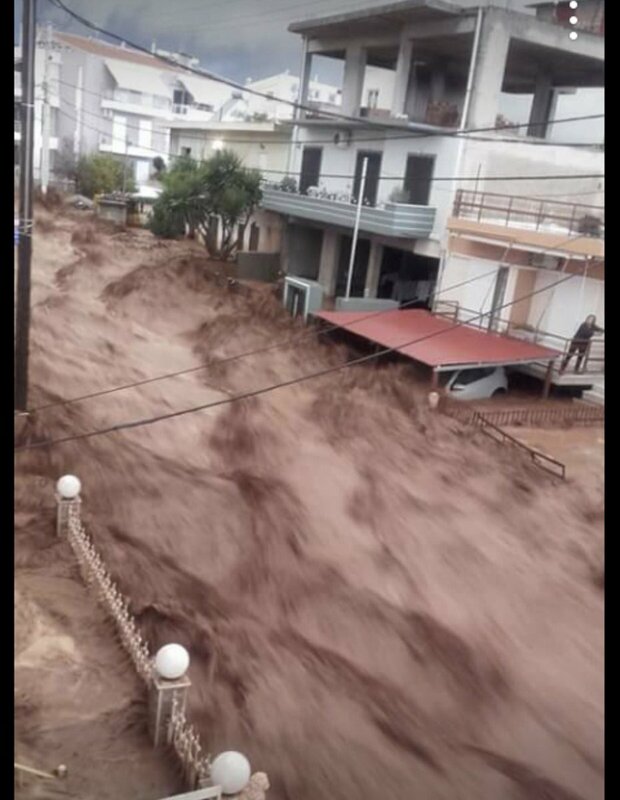 Přístavy Piraeus, Thessaloniki, Patra, Igoumenitra a Volos vedou z hlediska kvality infrastruktury. A pokud jde o letiště, tak klenotem je El.Venizelos, jedno z nejlepších v EU v této kategorii. V městské dopravě se nezapomnělo na aténské metro, které má 3 linky v rozsahu 60+20 km. a 3 linky tramvají s dalšími 26 km. A k tomu městské železnice s rozsahem dalších 230 km, po novém plně elektrifikované z Piraeus po SKA (Acharnes) stanici. Město ma navyše novou generaci trolejbusů a flotilu autobusů na plyn. Autobusy na dlouhé vzdálenosti jsou rovněž modernizované a pohodlné. Co tedy čeká Řecko v nejbližších letech? V městské dopravě se prodlouží tramvaj z Faliro (stávající terminál) po Piraeus. V železniční se dokončí elektrifikace tratě z Atén po hranice (Edomeni), co značí, že 1. krát v historii se umožní spojení Atén a Solúňu v rámci moderního mezinárodního cestování s dalšími evropskými státy prostřednictvím železnice. V roce 2019 bude částečně v provozu velké prodloužení metra v Aténách na lince 3 do Piraeus a stejně tak se pokročí v pracích na vylepšení přístavu Igoumenitra. Projekt letiště "Makedonia" dostane delší přístavací plochu a dokončí se přístav Piraeus. V roce 2020 základní linka metra ve městě Solúň bude v provozu a to 11 z 13 stanic s opožděním o 8 let. Dálnice Aktio - Amvrakia v délce 48 km a E65 Lamia - Xyniada v délce 30 km budou odevzdané do provozu. V roce 2021 se 200 let od tzv. řecké revoluce, ve které vzniklo moderni Řecko se dokončí celá řada infrastrukturních projektů. V Piraeus se prodlouží linka metra 3 po divadlo a dokončí se linka Kalamaria v metru v Solúňu. Na železnici se dokončí hlavní elektrifikace a signalizace na trati Kiato - Eghio, Paleoparsalos - Kalampaka a Larissa - Volos. V SZ části Peloponézu bude nová 2-kolejní trať až po oblast Rio. Konečně se provede upgrade 14 regionálních letišť v nákladech 350 mil. € a nepochybně bude v roce 2021 v realizaci několik infrastrukturních projektů z tzv. nové generace projektů, které se dobudují postupně do roku 2025. Vláda informovala, že o novém provozovateli řeckého mýta se rozhodne do 04/2019. Jde o kontrakt za 400 mil. €. Do budoucna se implementuje na celou koncesionáři spravovanou dálniční síť nový satelitní model, který jde prozatím na Egnatia Odos a její odnože. Ministr infrastruktury a dopravy uvedl, že dopravní tendry pro region Attika včetně upgradů na dálnicích Attika vzejdou v 1. polovině 2019. Prozatím jde prioritní 1. bod. Prvně jde o kombinaci silnice a železnice v jednom. Attika dálnice jsou v provozu od 2001 respektivě 2004, kdy byl termín LOH v Aténách. Končí jim smlouva, vláda je prodlužuje v koncesi, ale přidávají se tyto investice za 1,5 mld. €. A nevies, ci sa bude prestavovat na plny profil kratky usek pri hranici s Macedonskom? To je všechno co se bude letos a nejbližší roky realizovat v oblasti dálniční výstavby. Preference již směruje na železniční infrastrukturu a metro. Ale i tak ještě stále to jsou stavební investice za skoro 4 mld. €.